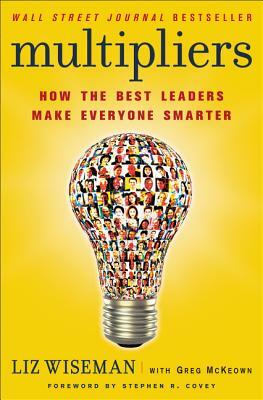 A thought-provoking, accessible, and essential exploration of why some leaders ("Diminishers") drain capability and intelligence from their teams, while others ("Multipliers") amplify it to produce better results. Including a foreword by Stephen R. Covey, as well the five key disciplines that turn smart leaders into genius makers, Multipliers is a must-read for everyone from first-time managers to world leaders. -—Warren Bennis, Distinguished and University Professor at the University of Southern California and author of Still Surprised: A Memoir of of a Life in Leadership. -—Gareth Jones, visiting professor, IE Madrid; coauthor, Why Should Anyone Be Led by You?